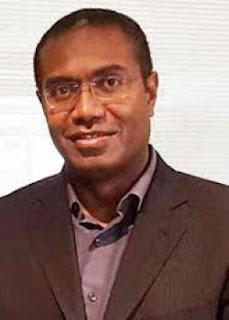 All Solomon Islands Members of Parliament (MP) will pay their taxes should United Party (UP) leads the next government after April’s general election. This was publicly declared by the Party’s President Peter Kenilorea Jr Thursday at the Party’s campaign launch and commissioning of UP’s candidates outside the national auditorium in Honiara. The current bad weather failed to dampen the spirit of many who have came out in numbers to listen and witness the launch programme. He added his Party won’t be camping in any hotels after the elections. “My colleagues and I look forward to paying our taxes from our salary like you all do and United Party (UP) will not be camping in any hotels after the elections,” he said. A packed crowd were present to listen when he delivered his speech. “We will breathe new life back into our national motto: To Lead is to Serve,” he said. He said the noble sentiments behind the motto have been tarnished by the selfish actions of so called leaders. “Leaders who have lost touch with the people they are sworn to serve and leaders whose standing and integrity are continually being questioned. “So Solomon Islands get ready because change is coming and change is the only constant. It is inevitable. “Those who fight change always end up on the wrong side of history. Instead, let us embrace change. “Change for the better. Positive change can lead to a resurgence of hope,” Kenilorea Jnr boldly stated. He added that today many of the youths’ dreams die young a sense of hopelessness is already gripping locals. “I see that in the eyes of young scholars realizing that their goals will not be a reality despite their enthusiasm to still continue their academic pursuits,” Kenilorea Jnr said. He added many of women folk continue to bear the burden of raising their children on their own and struggling to make ends meet. “Reports of increases in sexual abuse and violence point to a nation struggling with a breakdown of our moral compass,” Kenilorea Jnr said. He added that positive change will bring hope to this gloom. Not blind hope, but hope that is based on tangible outcomes for the betterment of this nation. “Outcomes that touch the lives of ordinary folks on the street and in the villages,” the UP boss said. “United Party’s policies are based on practical outcomes. We are a pragmatic Party,” he added. He said the outcomes make an impact on everyday people. The seven pillars that hold up the Party’s platform for the 2019 NGE have outcomes and deliverables that are measurable. The pillars are: 1. UP core beliefs 2 peace and security 3. Sustainable development 4. Infrastructure 5. Rethinking RCDF 6. Good Governance 7 International cooperation. “We believe these pillars will serve the nation well over the next four years and beyond. They will anchor Solomon Islands on a solid footing going forward with confidence. “In 2024 Solomon Islands will be graduating from the group of least developed countries,” he said. Mr Kenilorea said Solomon Islands will be the last large pacific Islands country to graduate. “Our vision is to guide Solomon Islands towards this graduation with confidence so we can truly celebrate the step up in our development status. He added that this coming election will be a crucial one for the nation. It is the first election since RAMSI’s exit. “The world is watching. We are at the crossroads. Should we continue down this spiraling path? “The United Party is ready and willing to lead us on a path towards prosperity,” Mr Kenilorea Jnr affirmed at the end of his profound speech yesterday. Kenilorea Jr will be running against his rival former East AreAre MP Andrew Manepora'a. Many who have witnessed the launch personally met and congratulated intending candidates contesting under the UP’s banner in this coming election.